The gardens at the home we are remodeling in West Linn, Or. are getting more sun this year and things are ripening with a much quicker pace. Due to shade from large trees in the past years, the rows of raspberries would not ripen fully until the beginning of August. The tree's were removed in March. 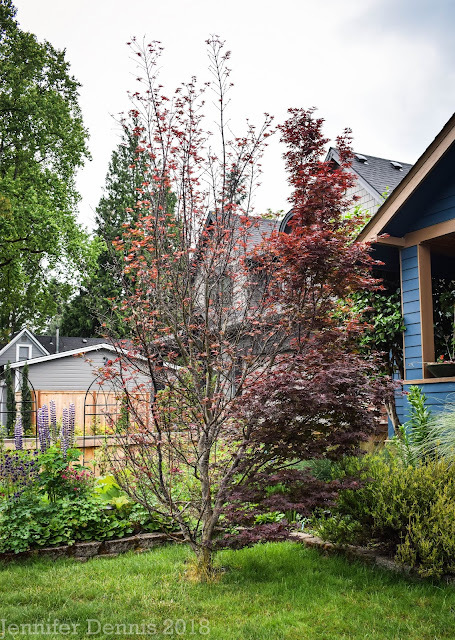 Two large Sumac trees that had been planted by the great grandfather back in the 1930's for their quick growth and shade potential. 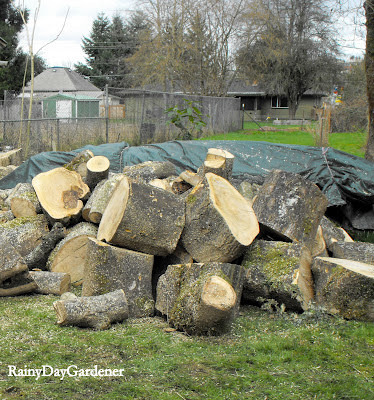 We decided they were just too big and took two of the three trees out. They had some disease and in the past during a wind storm, had dropped a rather large limb onto the house and yard, causing some damage. Now, the sun abounds (when it's not raining ;) and the gardens will have good access to warmth. There is also great potential for a patio to be built in the future. For now, I'm dreaming of raspberries. Sweet, plump, juicy raspberries. Great decision. Some trees just outlive their usefulness and are no longer safe. Here's to plump delicious raspberries in the not so distant future! I'll dream along with you for raspberries! I'm hoping to get mine before the birds do!! Alicia, do you use bird netting? I've considered it but have not used it in the past. So what's the plan for those large 'logs'? Sue, as the home does not have any fireplace or wood stove, my mother in law has a co-worker who is Native American. That co-worker and members of her tribe came and got the wood to use in their traditional sweat lodges. It was a good win-win situation. Oh...yum! Raspberries! 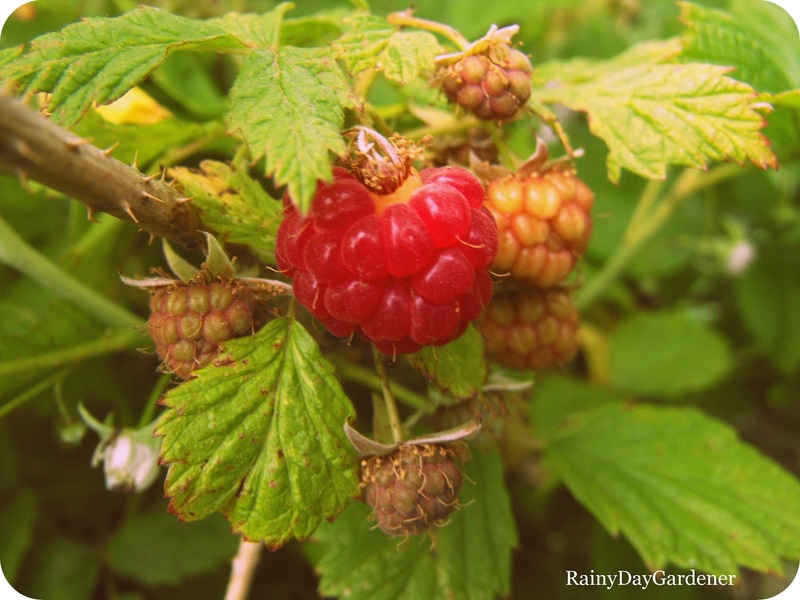 I'd be dreaming of raspberries if they were ripening in our garden, too!